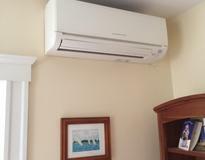 We are the largest ductless contractor in New England with hundreds and hundreds of ductless system installations in the region. Since 1989, N.E.T.R. Inc has been installing air conditioning systems in Boston and its surrounding areas.  Our philosophy has been a complete dedication to our customers' needs. Over the years, this dedication has helped us to become one of the most respected names in refrigeration and cooling in New England. We have a dedicated residential installation staff that only installs Ductless Heating and Air Conditioning Solutions. This allows our ductless specialist techs to focus 100% on a single solution, and be true experts in all things ductless. We are 100% compliant with Mitsubishi Electric's Elite Diamond Contractor program, routinely sending our personnel for every available training. "Very Responsive and Patient Installer"
I highly recommend NETR as an air source heat pump installer. They were very helpful and patient in the initial quote process, and flexible to accommodate my preferences about the installation layout. The installation itself went very smoothly and all of the contractors were very professional. Perhaps most importantly, NETR has been exceptionally responsive to deal with issues after the installation. Even though the issues were not their fault, NETR came right out to address them multiple times and never charged any extra fees for the service. Overall, a very good experience.